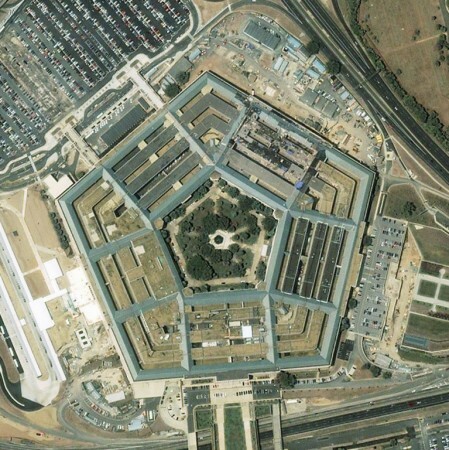 Space Imaging has published its satellite imagery of the area of the World Trade Center in Manhattan NYC, and of the Pentagon in Washington DC, as a remarkable photographic record of those places pre- and post-September 11, 2001. 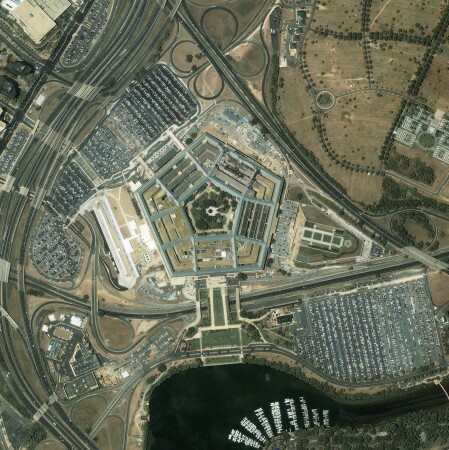 These images are of the Pentagon, August 5, 2002. You may click any image for a larger version.